Unfortunately while the economy remains a little uneven and the road ahead for the nation’s finances remains unclear, shrinkflation is something that we’ll all come across but do we actually recognise it when we do? We’ll tell you what shrinkflation is and give some examples of how companies are taking away from us without lowering prices. The basic fact is that when operating costs go up firms have two choices: the either increase a product’s price or they lower the quality or quantity of that product. Time is money as we all know, so in the service industry, shrinkflation tends to lead to less workers in call centres and less counters open in the post office, so longer waiting times for customers. With consumer products though the economics of shrinkflation are a lot clearer. Shrinkflation is best demonstrated with products that we buy from the supermarket shelves. Have you noticed that Mars Bars are now smaller than they were in 2009? Ever wondered who got to your Toblerone bar before you and took 30 grams from it? With changes in wrapper designs we probably didn’t notice the following changes, which each firm though necessary to maintain the operating profits they need in order to survive the economic downturn. 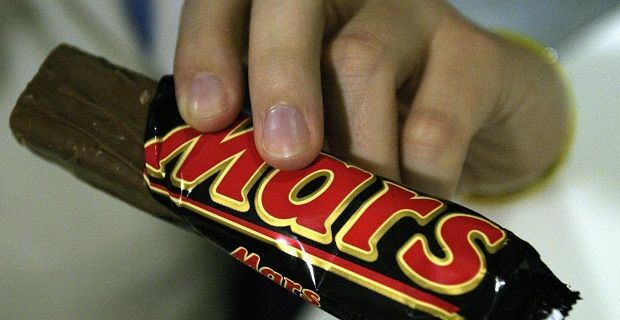 Mars reduced the size of the Mars bar from 62.5g to 58g in 2009 without lowering the price. Cadbury reduced its 200g Toblerone bar to 170g without lowering the price. Tetley tea bags were be sold in boxes of 88 instead of 100. Nestlé reduced After Eight Mint Chocolate Thins box from 200g to 170g. Shredded Wheat Superfruity were sold for £2 per box for a while in 2013. When the special offer price ended, the price increased while the quantity of cereal decreased.